Sales systems are not only the software that we present below. This is the whole infrastructure, consisting of many elements such as: a program for sales and storage management, computer equipment, network solutions, fiscal devices, store scales (conventional and labeling), fiscal terminals, payment terminals, POS terminals, inventory devices and many other devices from the category, of so-called trade electronic equipment. Our specialists can combine all the listed above devices and software into a single system the user parameters of which will allow you to generate higher incomes and profits. A well-designed system gives you a sense of control over your own business and the knowledge necessary to plan further actions. Below we present the software. The rest of the trade equipment can be found on our websites and in the online store. For more information, please contact our sales department. Subiekt GT is a modern sales system created with the idea of companies looking for an effective tool that supports comprehensive service of a sales department, a store, a service point and a craft shop. Subiekt GT is the next version of the well-known in Poland InsERT company systems: Subiekta 4, Subiekta 5 and Subiekta for Windows. Thanks to its rich functionality and simple, intuitive maintenance, the program excels in any situation. As a result of the application of appropriate technologies and business solutions, Polish entrepreneurs prefer the Subiekt program of sales support among all other programs. PC-Market 7 and PC-POS 7 is a comprehensive sale outlet management system. The system allows you to perform a full inventory of cashiers and to view revenue in the cash register / cash registers in the current mode, and the amount of data received from the cash register will satisfy the most demanding analysts. Insoft company’s PC-Market is a program designed for a store, supermarket and wholesale depot. The PC-Market 7 program is transparent and easy to maintain. The PC-Market 7 program and the Merchant Console constitute a comprehensive system for managing a network of outlets. PC-Market provides maintenance of trade and warehouse documents of all types. It allows you to connect several outlets and manage all of them together remotely - Network Shops, PC-Market 7. 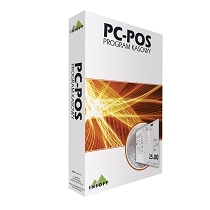 PC-POS is a simple and functional cash register program designed for computer workplaces (monitor, fiscal printer, code reader, etc. ), allowing sales on the basis of any payment terminal with a touch screen. The program can be configured, so it can be used in retail outlets of various sizes and in different industries. The program runs on Windows and Linux operating systems. It has a user friendly and intuitive interface. When creating the program, special attention was paid to its operation on touch terminals and ease of maintenance. A cashier will be trained at the lightning fast how to effectively sell using PC POS 7 Premium. Comarch ERP Optima is a multi-module program that will satisfy the requirements of any small and medium-sized company, accounting department or retail company. Its main advantage is the possibility of integration - the entered data is available on all modules. Due to the huge variety of the modules, each company will be able to use Comarch ERP Optima as a good and reliable tool in everyday work. The main difference of the system is its modernity - the program works with the use of a safe and modern database. The program is also available in the ASP version, that is, a model that works over the Internet. The concept of functionality covered by the notion of Handel (Trade) in the enova system is based on the use of four modules: Trading (invoicing, warehousing, orders, trade and warehouse analysis), Money Declaring, Documents Declaring (within their registration together with the VAT declaration) and the Counterparties and the Offices. The system is intended for companies that conduct trading activities (wholesale and retail), activities in the service sector and, to some extent, in the production sector that operate in various sectors of the economy. Bilans is a professional software package for servicing large and medium-sized enterprises, operating in Windows NT / 2000 / XP environment. Bilans is a turnkey system, that is, a customer buys a solution adapted to its specificity and individual needs. To solve such problems we use the best specialists in informatics, integrated computer systems and fiscal funds, responsible for the correct implementation of the system. In particular, we cooperate with specialists in such areas as accounting, personnel and wages, trade and taxation and this ensures that the Bilans program complies with the current rules and legal requirements. In addition, individual modules of the system in the current mode can be modified and adapted in accordance with changes in the provisions of the law.